Public elementary and middle school students across the territory are getting ready for ICMC’s 13th Annual Student Hall of Hope “Celebrate Life” Art Exhibition and Fun Day, which is scheduled for 9 a.m. to 1 p.m., Wednesday, May 17, at Reichhold Center for the Arts. 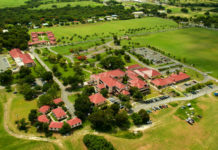 Created in 2005, the Student Hall of Hope (SHOH), initiated and presented by International Capital and Management Company (ICMC), honors the artistic talents and creativity of Virgin Islands students. Each year ICMC works with St. Thomas’ public school art teachers and administrations to invite students on St. Thomas and St. John to create works of art and display their personal renditions of “Celebrate Life,” in recognition of ICMC’s client Cancer Treatment Centers of America’s annual Celebrate Life event. This is a wonderful opportunity to also offer attendees the all-important message of hope, healthy living and reaching for the stars. The company provides all the art materials necessary for each class to create a work of art around the theme; the event culminates in a fun day and much celebrated show, inclusive of awards, student performances and fun-filled activity stations for all attendees. Taking the stage this year as the event’s featured speaker will be Dr. Lois Hassel-Habtes, who has over 40 years of experience in the field of music and cultural education, in addition to her longstanding role as a principal in the district of St. Thomas-St. John. Last year’s event drew over 300 students from across the territory and over 350 are expected at this year’s engagement. 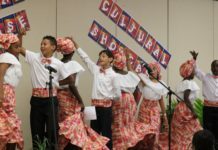 On stage performances will include the Cancryn Junior High School Dynamic Innovations Drum Line, the EBO Quadrille Dancers, the Bowsky Mimers and much more. the student art will be showcased at the event, and then displayed in the main lobby of the Schneider Regional Medical Center following the event. It will also be displayed at the Reichhold Center lobby during its upcoming family series. In addition to its commitment to support the community with this annual event and to further support the children of the V.I. to expand their creative horizons, ICMC also put began a quarterly art supplies program six years ago that offers the public schools a consistent avenue of support via a regular donation of art supplies for each school. The supplies are annually made available to elementary and middle school art teachers on St. Thomas and St. John. For more information about the Student Hall of Hope “Celebrate Life” Art Exhibition and Fun Day, contact Karen Nelson-Hughes at 715-5833.